Until 25 November you can visit the exhibition of It Erfskip in the City Oasis (Public Centre) of LF2018 in Leeuwarden. The exhibition shows the results of the past year: beautiful souvenirs, made from local materials and in co-creation with different inhabitants from Friesland. 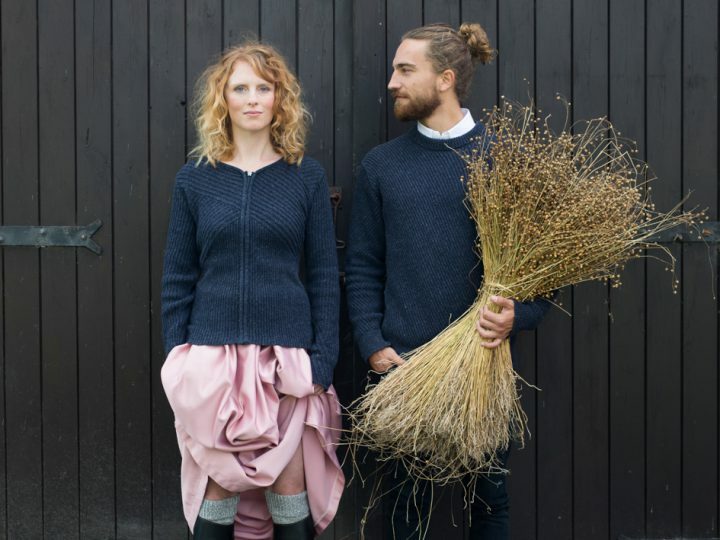 You will also find the first circular Frisian sweater, which It Erfskip makes together with Loop.a.life made from recycled wool and local flax fibre. During the opening of the exhibition, Sjoerd Bootsma (program maker for LF2018) and Sjoerd Feitsma (alderman Leeuwarden) pulled out their sweater to donate to the Fryske sweater. 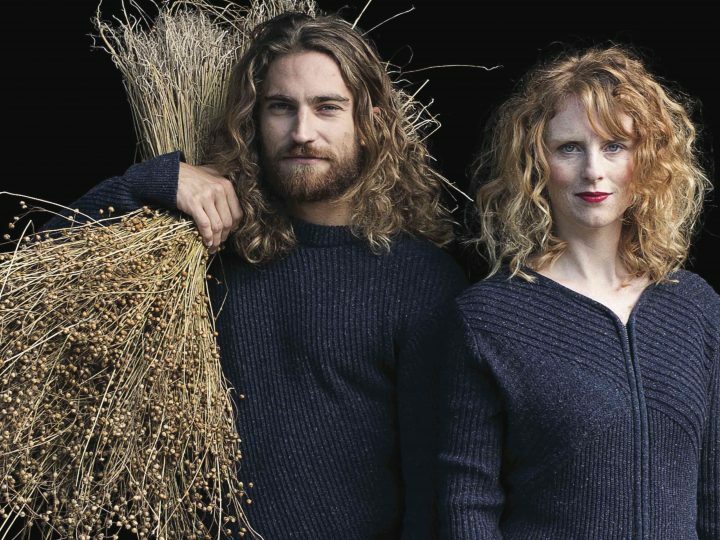 Sjoerd Bootsma told me how proud he was of It Erfskip: ‘Over the past two and a half years, It Erfskip has developed into a beauty of a design label. Despite a setback, we developed a clear vision. ‘ He sees It Erfskip as an example of a creative organisation of which he would like to see more as the legacy of LF2018 in the coming years. Alderman for Culture Sjoerd Feitsma endorsed this and, by giving a lot of attention to the creative industry, wants to make sure that its importance becomes visible. The exhibition can be seen in Stadsoase opposite the central station. It is open from Monday to Saturday from 9.30 am to 5 pm. On Sundays it is open from 10 am to 4 pm. The Frsyke Trui crowdfunding campaign has been successful!